In Arugam Bay I met somebody whom I met last year. 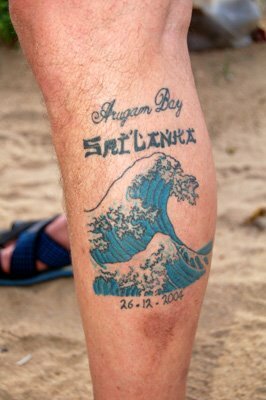 One Englishmen was there again with his tsunami "memoria" tattoo on his left leg. He said he thinks it is one of the World’s most photographed tattoos. Somehow impressive? !